Several years ago Edutopia asked me to write an article for them and I chose to write about the seeming dismissal of veteran teachers because of their age. Now, 5 years later, it is still happening, so I thought it would be fitting to re-post the article here. “You know I was worried at first, because she was so old, but it turned out she was really good…” A friend and I are discussing her child’s teacher. Her words resonate with me because I have heard them a lot lately; she was so old…old… and I wonder since when did being a veteran teacher become a negative quality in America? Rewind to my first year of teaching and how I wished to be a veteran, how I yearned for years of knowledge and experience that could really wow parents and engage the students at such a high level that they would love coming to school every day. Instead, I bumbled my way through, figuring out my style, using the students as test subjects to all my untried ideas and staring wistfully into veteran teachers’ classrooms. I envied their orderly, calm lessons, their seemingly endless project ideas and angles to reach every child. I could not wait to be a veteran. Now it appears a new trend has emerged; veteran teachers are no longer “experienced” — they are simply “old,” with every negative connotation of that word. The media and politicians portray these older teachers as stubborn and stuck in their ways. They are labeled static and washed out. The way to resuscitate America’s “failing” education is now to get rid of the veterans and pave way for the new teachers, those with boundless energy, passion and fresh ideas. It’s truly a case of out with the old and in with the new. But those working in education can see just how flawed this method of thinking is. Those of us who breathe education recognize what these veteran teachers really bring to us all — knowledge, expertise, methods that work, and a deep-seated passion for a job that has done little to reward them. We realize that by creating a bias against experience, we are all losers in the world of education. Now before I forget: yes, there are experienced teachers that do fulfill the stereotype, much like there are new teachers that do. However, the majority of experienced teachers do not. Thanks in part to the rhetoric of the “reformers,” the anti-veteran bias seems to be taking root in society, too. Now when teachers are searching for work, the more years they have, the less likely it seems that they will get an interview. Some districts say tight budgets are to blame, which as a teacher in Wisconsin I can appreciate, and yet, you would think that a district would spend the bulk of its money on getting experienced teachers in front of our students. Instead, we see a stigma that says the more years of teaching you have, the less open to new ideas you must be. Parents eagerly tell us how they want that new young teacher because he or she will have something new to offer. Students hope for the young teacher because they are sure he or she will be more fun. So what can we do? Youth is the ultimate desirability in America, and it is warping the educational world as well. Youth now seems to be the one trait that everyone agrees will save our schools. Get rid of tenure, and with it the more experienced teachers, which frees school districts to hire as many brand new teachers as they want. Brand new teachers that also happen to cost less. Brand new teachers that come off as confident and brimming with new initiatives. Brand new teachers that lack the foundation that only years of teaching can provide them with. I think back now to what I put my students through my first year — and I shudder at the thought. There were the make-no-sense rules just to ensure control, tests upon tests because I thought that was the only way I could assess, and just a small stockpile of ideas to pull from. I had the confidence but lacked experience, and the only thing I knew that would make me a better teacher (besides more years) was turning to my mentors, veteran teachers that shared their knowledge and inventiveness. In those master teachers I saw everything that had drawn me to teaching: passion, dedication, innovation and an unstopping sense of urgency to reach all students. That is what we’ll be removing from our educational system — experience; because in the view of society, old = bad. So when we dismiss and run out our master teachers, we drain our schools of one of their most valuable assets — knowledge. When we place teachers with experience at the bottom of our respect pole, we set students up to be every new teacher’s test subject over and over, throughout their years of schooling. Yes, new teachers bring new ideas to the table, but so do veteran teachers. How anyone can claim otherwise baffles me. Thankfully, there are others in our profession who agree with me. Veteran teachers are joining social media such as Twitter to reach out to new teachers. They are blogging about their experience, thus creating a database of knowledge accessible to anyone in need. They are creating networks within their schools, ensuring that new teachers have someone to turn to. They are not being run out of education quietly, and we should all be grateful for that. We are only as strong as the weakest link in our schools, and our mentor teachers are doing everything they can to empower the people they work with. That power transfers to our students. Thank you for your article. Every word of what you wrote is unfortunately true. We even hire young, inexperienced administrators who have so much to learn. Our former administrators used to be experienced, intelligent, hard working who earned their way to promotions. Now we discard age and experience and hire young people. We used to look up to our administrators. That is difficult to do with young administrators. The young teacher today don’t have the work ethic, compassion or desire to reach all learners. They worry about being on their phones, what they are doing after school, etc. We need a good combination of both young and new-seasoned educators. Today’s students are difficult and the job is not easy. As far as the government thinking seasoned teachers are old and sedentary, they are feeding the lies and pushing good educators out. Soon there will be a shortage. We have new laws that make us stay longer to earn our pensions, yet they want us out. Soon teachers won’t have a pension either because we will be fired for age bias and won’t make retirement. I think we should make sure our bias doesn’t extend the other way either; I have met and worked with incredible young teachers that were wise beyond their years and created incredible classroom experiences with their students. I hope for a day where all of us will be judged on the experiences we create and not the years of service, nor the test scores we pull in. I believe much of the challenge to older teachers–and I am one of the older teachers–comes from two connected mindsets: 1. The knowledge that the outdated education system we have to work in becomes more obvious to the experienced teachers who voice their opinions and upset the educational business leaders–big shots running the format–to the point they want “new” unaware teachers who will ride the same system’s wave for long enough to keep the same status quo, and then repeat the same action. Global communication has changed the way life and learning works, and everything is exposed for what it is now. 2. The connection now is to the corporate take-overs of education for the sake of supporting the old system. They are striving to take away local and even state control of education. Even Universities have the hands of Pearson around their throats. Ken Robinson is a wise and aware man who has spoken much about why our system does not work anymore and will continue to falter at the expense of our future generations. This is what is behind the bias against older teachers, in my opinion. Thank you for your supportive words. As a veteran teacher who will be 68 when this school year ends, I have been respected and appreciated by families and colleagues. When I announced my retirement this year , the outcry had been loud and long- lasting. I plan to volunteer full time next year because I’m not finished with teaching, but I am so tired of dealing with a system that puts curriculum and testing over what I know kids need to be well- rounded learners. Trying to fit in what I know and what I’m forced to do has brought me to this decision. I am near the end of my teaching journey. My hearing is impaired from a school bell next to my classroom door, crowsfeet from squinting at recess and computer screens. That is my body aging, not my mind. Most folks do not know that I have written multiple grants for science items, field trips, technology. There is no skating these last couple of years. Now is the time to share, donate, make a splash! I will be leaving thousands of dollars of books, games, toys, mittens, etc. Retirees will remember their parties as huge occasions that I designed. Hopefully my work with our yearbook and Facebook with the hundreds of photos taken each year is valued. There are teachers and there are active teachers. Age is not what matters. What matters is the difference you have made to your school, the quality of your lessons, how your students have grown in positive ways, how you have added to your colleagues’ and parents’ lives. I will not be one of those ‘stayed on for too long’ people. There are areas in my community that will value my time and creativity, too. Age makes no difference if a teacher is passionate about breaking the mould of traditional teaching, understanding future learning of young people who have been ‘screen raised’. 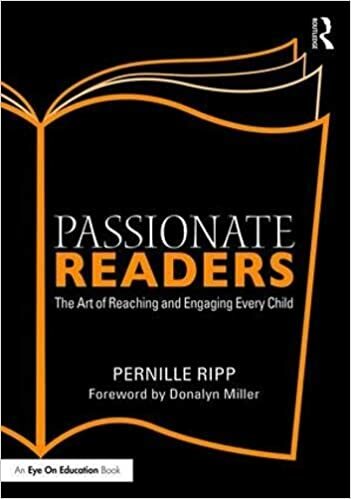 Age makes no difference if a teacher’s prime passion is to engage learners to be invested in their learning, to take ownership and responsibility for their learning, to drive their own learning while he/she is their advisor, mentor, connector and consultant. Age makes no difference if the teacher makes learning personal through differentiation and individualisation. 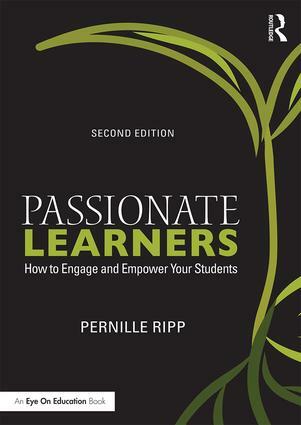 If students are challenged and intrinsically motivated with real learning for real people for a real purpose. If students can become curious, excited and engaged thinkers. If students can take their learning and thinking out of the classroom and into their real lives. If teachers are always there to guide and not to control. If teachers offer possibilities to their students and allow them to take over and run with it. If teachers encourage the use of technology as a tool to learning rather than a skill that needs to be ‘taught’. If teachers listen to TED talks, watch Teaching Channels for the 21st Century videos, follow blogs such as yours Pernille ( and countless others). If teachers learn from each other ( young and not so young) around the world. It’s devastating to be dismissed when you have been respected, requested, and revered for your expertise nearly 40 years. It happened to me. And yes Desiree, my fellow colleagues and I did all those amazing things long before they were looked as as innovative and out of the norm. We just did it because it was good teaching earning our reputations the right way. We all retired last June because we felt totally disrespected and disregarded by much of the younger staff and the young building administration. Sad. Many tears. But we still have each other and the wonderful memories of what we did for kids because it was second nature to do so and not because it raised our salary or made us “popular”. Oh how high school. I’m proud I retired a true professional with class, head held high, and whose main purpose for being there was for the babes.